The Outdoors Guy with his first Gobbler! Although using blinds and decoys are not essential in pursuit for the majority of turkey hunting, they do provide an incredible edge when used properly and in the right situations. They can in some instances be the added factor that will make a hunt successful and in other occasions be the factor that keeps a wary gobbler from coming into range. 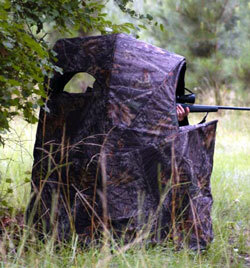 A blind is designed to conceal motion and is a great piece of equipment for those who plan on Turkey Hunting by sitting in one spot for prolonged periods of time. It is also a great tool when teaching youngsters about turkey hunting or for those who may a bit fidgety or have trouble sitting still. A Turkey blind need not be an elaborate piece of high tech equipment with all the bells and whistles of deer blinds. It should be noted that if your blind is to do double duty as a blind in which you will be hunting animals with exceptional sense of smell such as deer or wild boar, you may want to consider upgrading to a blind that contains some manner of scent protection. 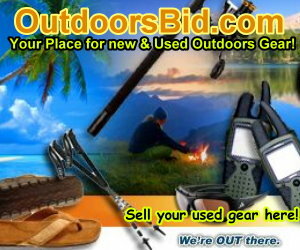 There are many wonderful blinds sold in all the best sporting goods stores and you need only think about where you will be doing a lot of your hunting to decide which may be best for you. Take into consideration if you hunt alone, the ease of which you can maneuver your shotgun and the profile of the blind. Also make sure that you have enough view to sides as it happens so often that as you are watching a Jake stroll in from the front, that a 4 year old gobbler is standing 15 yards to your side. The Blind that I shot my first Wild Turkey from was merely a collection of branches and twigs laid out under a large tree, two feet inside from the edge of a large field. The tree was big enough to provide support for myself and my friend who was calling for me, and had enough break up cover behind us for added camouflage. Make sure you have break up cover in the rear. The previously mentioned Turkey Blind is quite often constructed the evening before a hunt after gaining a good idea of where the birds might be roosting for the evening. 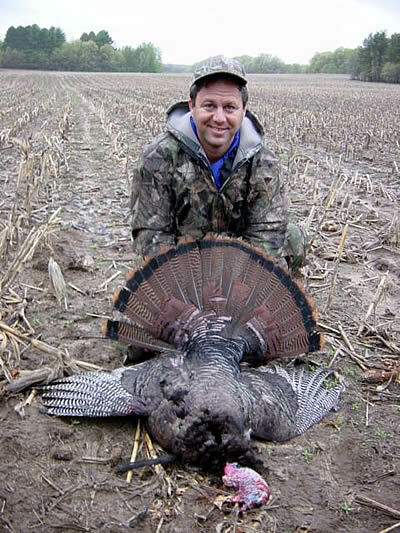 This is accomplished by either visually seeing the birds entering the woods towards dusk or using Wild Turkey calls to try and elicit a response from an edgy gobbler, and then constructing some manner of Turkey Blind in a position that you feel the Birds will either fly down to, or need to travel in the course of their morning habits. When constructing this type of natural Wild Turkey blind you may also want to pace off about 20 yards in order to get a good idea of distance for when the birds come in. Do not forget to check any possible shooting lanes for obstructions, so bring along a pair of gardening shears to remove any small branches or weeds that may cost you a shot. You also need to make sure you mark the area in some way so you can find your Turkey blind easily and not tip off your presence. In regards to the Wild Turkey Decoy, at the beginning stages of my Turkey hunting career I was probably a bit too dependant on the use of decoys as I had little confidence in my own abilities. As time progressed and I understood how to hunt wild turkeys, I became less dependant on the decoys, and more on my understanding of how Wild Turkeys in various areas and hunting pressure may react. It is important to understand why to use a decoy. Depending upon the terrain and your ability to call a turkey in, the gobbler may not come within range if he cannot identify a hen or other bird as the source of the call. If he can identify the bird making the sounds he may be more apt to come into range and begin his display. In some areas, as was the case during a few Missouri Turkey hunting trips, the birds are so heavily hunted that use of a decoy can be about as detrimental to your hunt as bad calling. 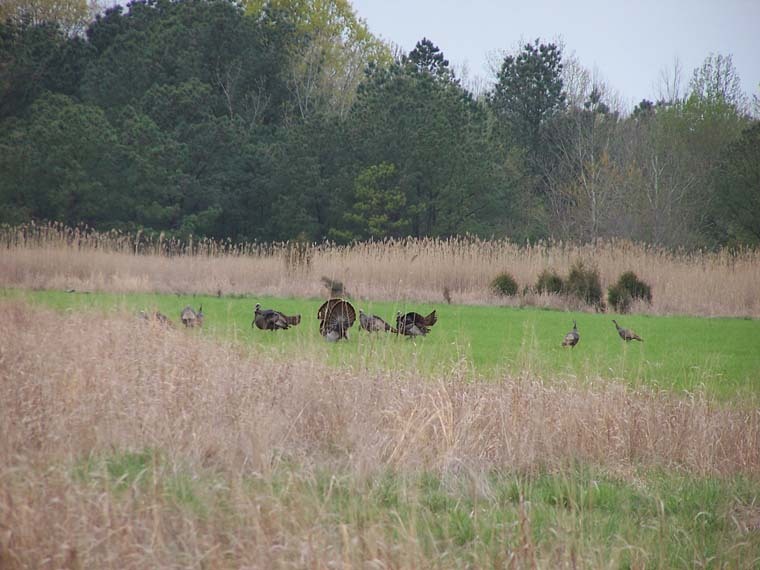 When properly used the Turkey decoy can not only lure birds within range but keep them in the area longer, increasing the chances of a big gobbler strolling in. The key again is to know what a Wild Turkey is looking for at what time of the year. One fall Turkey hunting trip near Eau Claire, Wisconsin, a friend and I sat in a small blind we had picked up at Gander Mountain that day and enjoyed a hot cup of coffee while several hens meandered around our other decoys and even took turns napping for about an hour. Finally, when determining what type of decoy to purchase, your local sporting goods store can be a great source of information, but keep in mind what a Wild Turkey is best at, seeing motion, so in addition to buying a life like Turkey decoy, also try and find one that may have some natural motion when there is a bit of breeze or can be made to move by some other influence. Remember, that you will be carrying these decoys into the woods and perhaps for several miles so weight and ease of carrying should enter into your decision as well. There ya have it! Enough information to get you started on using blinds and decoys for this years Wild Turkey hunting experience.